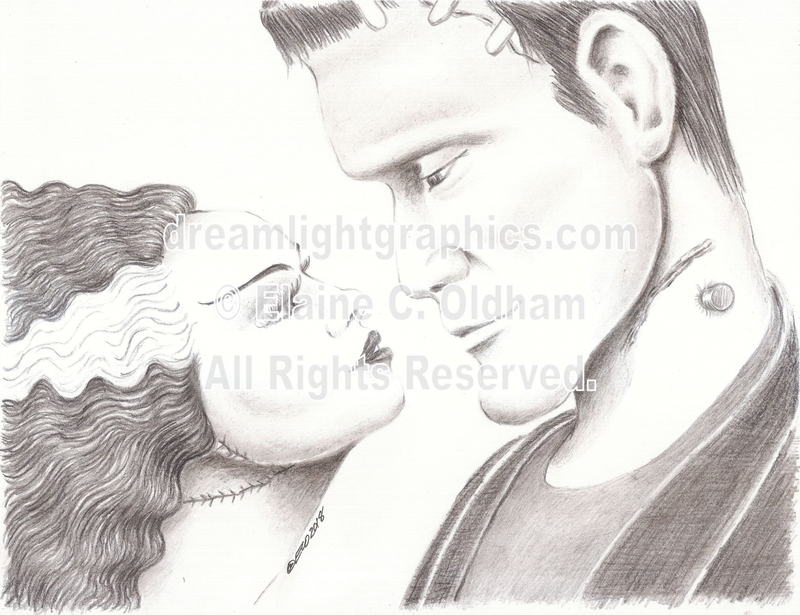 When I saw Bride of Frankenstein the first time, I felt so sorry for the Monster. I mean, he was rejected by a woman made for him. So here I give him a much more romantic ending to that first meeting. Also available as a standard print.